The notorious Czech gangster wants to serve out the remainder of his long sentence in his home country. 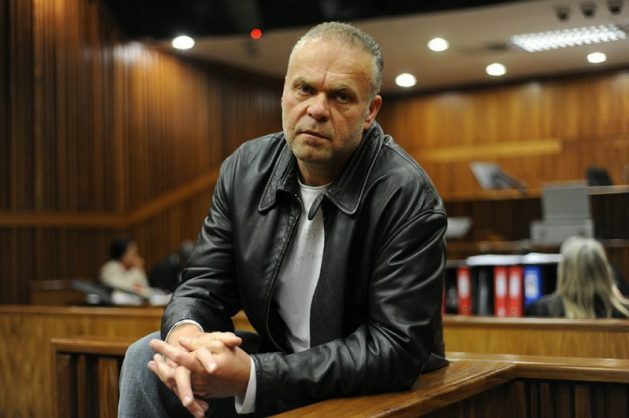 A report in the Saturday Star has revealed that Czech fugitive and convicted criminal Radovan Krejcir has assembled a team of some of the best legal minds in the country in his attempt to get back to the Czech Republic and out of jail in South Africa. Among his lawyers is advocate Dali Mpofu of the EFF. Krejcir’s family claims that the department of correctional services has curtailed the fugitive’s right to contact his legal team by phone. Prison authorities reportedly investigated how Krejcir had earlier been able to give an interview to EWN about the “inhumane conditions” he’s allegedly being kept in from behind bars. They have since apparently tightened up security around him. In that interview, he claimed there was a major conspiracy to keep him behind bars, which started after he apparently paid R2.5 million to a “high-profile politician’s son”. He claimed he was framed for crimes he didn’t commit. He is currently serving an effective 35-year sentence for attempted murder, kidnapping and drug dealing and has repeatedly tried to escape from jail since he was first sentenced four years ago. Krejcir’s attorney Jeff Mendelson confirmed to the Saturday paper that he had been unable to reach his client by phone, alleging that numerous attempts to reinstate Krejcir’s contact privileges had been refused. The department, however, reportedly dismissed these allegations, although the paper alleges they have seen emails from the prison head saying Krejcir can only be consulted in person. Krejcir and his family want him to serve the remainder of his sentence in his home country. Earlier this year, the Kempton Park Magistrate’s Court ruled he could be extradited. Mpofu and Eric Mabuza, who also represents suspended Sars commissioner Tom Moyane, have reportedly been lobbying Justice Minister Michael Masutha to let Krejcir go. “He now no longer wishes to appeal, challenge or resist the request for his extradition. He is willing to serve the 15-year term of imprisonment imposed on him by the authorities in the Czech Republic as well as to face the new charges therein,” the letter from Mabuza to Masutha reportedly reads. His advocates argue that it is costing too much to imprison Krejcir here, with the figure running to as high as an alleged R200 million. Mabuza and Mpofu are likely to go to court to compel the minister to make the decision, as they said they had not had a response from him.